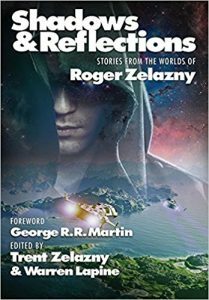 Shadows & Reflections: Stories from the Worlds of Roger Zelazny, Trent Zelazny & Warren Lapine, eds. (Positronic Publishing) 9/17. The Hainish Novels and Stories, Ursula K. Le Guin (Library of America) August 2017. 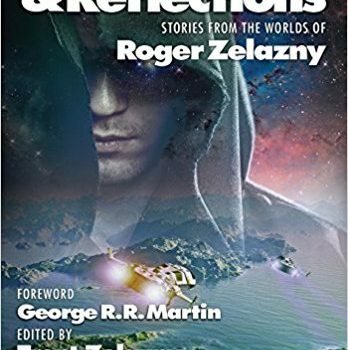 In the last few years, we’ve had trib­ute anthologies dedicated to Jack Vance, Gene Wolfe, Robert Silverberg, Poul Anderson, and Samuel R. Delany, and now we have one dedicated to Roger Zelazny: Shadows & Re­flections: Stories from the Worlds of Roger Zelazny, edited by Trent Zelazny & Warren Lapine. Zelazny’s flamboyant body of work cer­tainly offers many lushly romantic settings and characters for others to work with, from Lord of Light to the Amber series, and from rebellious deity Mahasamtman, to the immortal Conrad, to worldmaker Francis Sandow, to Corwin of Am­ber. 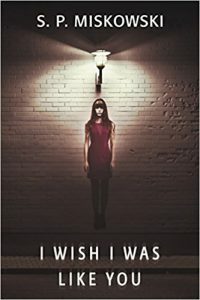 The problem is, as it also was with the Gene Wolfe tribute anthology, that Zelazny himself has set the bar so high, in terms of imagination and distinctive elegance of prose, that it’s almost unfair to expect any other writer to be able to clear it – and indeed, few of the authors in the anthology are really up to the challenge. The best story here is probably “Playing God” by Ste­ven Brust, one of the few contributions to catch something of the audacious élan and insouciance characteristic of Zelazny’s work. Also good here is the dreamlike “Nights in the Gardens of Blue Harbor” by Gerald Hausman, although with its languid Jamaican setting and its fre­quent references to both Ian Fleming and James Bond, it seems more influenced by Fleming than Zelazny, although Zelazny helped to plot it be­fore he died. Also worth reading for their own sake as entertainments, although not convincing as something Zelazny might have written, are “The Lady of Shadow Guard” by Lawrence Watt-Evans, “The Aspect of Dawn” by Shari­ann Lewitt, and “Rock and Road” by Michael H. Hanson. The big news this month is the return of Omni magazine. Omni was a large-format slick magazine, published in print for from 1978 to 1995. It was known for its (sometimes credulous) popular-science articles and for the excellence and ex­pensiveness of its graphics, but what made Omni famous in genre circles was the fact that it also pub­lished two or three science fiction/fantasy/horror stories per issue, selected by famed Hugo-winning editor Ellen Datlow, who solicited memorable work by writers such as William Gibson, Bruce Sterling, Pat Cadigan, George R.R. Martin, Ursula K. Le Guin, Joyce Carol Oates, T. Coraghessan Boyle, Octavia E. Butler, Stephen King, and dozens of others. Now, after years of behind-the-scenes legal battles and a couple of abortive reboots, Omni is back in the same large-size slick format, with an all-new Winter issue. 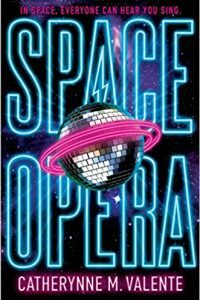 The popular-science articles are beyond my purview here, but the good news is that Ellen Datlow is also back as fiction editor, and the likelihood is that she’ll again make Omni into one of the most important sources out there for good genre fiction. The Winter issue features three good stories: “Sidewalks” by Maureen McHugh deals poignantly with the story of a refugee who has lost her entire universe and is now stranded in our own; “Verweile Doch (But Linger)” by Rich Lar­son paints a portrait of a man with a very strange Wild Talent, the ability to stop time for everybody else around him and keep the world frozen for as long as he wants to – but how long does he want to? “Every Hour of Light and Dark” by Nancy Kress takes us to a future where the human race has destroyed the Earth, and a group of refugees living on the Moon must fish through time to retrieve a few of the treasures otherwise lost to history. So, the new Omni is off to a good start, and I wish the magazine good luck in days to come. Perhaps the best reading bargain you’re going to get this year, and maybe this decade, is a huge om­nibus collection of some of the best of Ursula K. Le Guin’s novels and stories, all science fiction and all set in her Hainish universe, The Hainish Novels and Stories, from the prestigious Library of America, edited by Brian Atteberry. There are two volumes, which can be ordered boxed together or separately. Volume One is predominantly devoted to her Hainish novels, Rocannon’s World, Planet of Exile, City of Illusions, The Dispossessed, and what I still consider to be her masterpiece (although many would argue for The Dispossessed instead), The Left Hand of Darkness, plus a selection of Hainish stories such as “Winter’s King”, “Vaster Than Empires and More Slow”, “The Day Before the Revolution”, and “Coming of Age in Karhide”. Volume Two is in a way even more impressive, con­taining the five-novella “story suite” that make up Five Ways to Forgiveness, a work that rivals (and perhaps surpasses in some ways, notably with the complexity and uncomfortable nature of the social issues it raises, issues definitely relevant to our own society) for excellence even The Left Hand of Darkness itself, plus very strong late Hainish stories like “Another Story, or, A Fisherman of the Inland Sea”, “Mountain Ways”, “The Matter of Seggri”, and “Solitude”. There’s also a wide selec­tion of introductions to the novels and essays about the Hainish universe by Le Guin. Put simply, this is a huge chunk (2,100 pages!) of some of the very best science fiction to be pub­lished in the 20th century. Yes, at $60 the complete two-volume set is expensive – but these days tak­ing a family of four to see the latest Transformers movie is not going to be a whole lot cheaper, and this omnibus will give you many more hours of en­tertainment, and will still be there years from now for your children and grandchildren to read as well. In short, The Hainish Novels and Stories be­longs in the library of everyone who enjoys the best that science fiction has to offer.